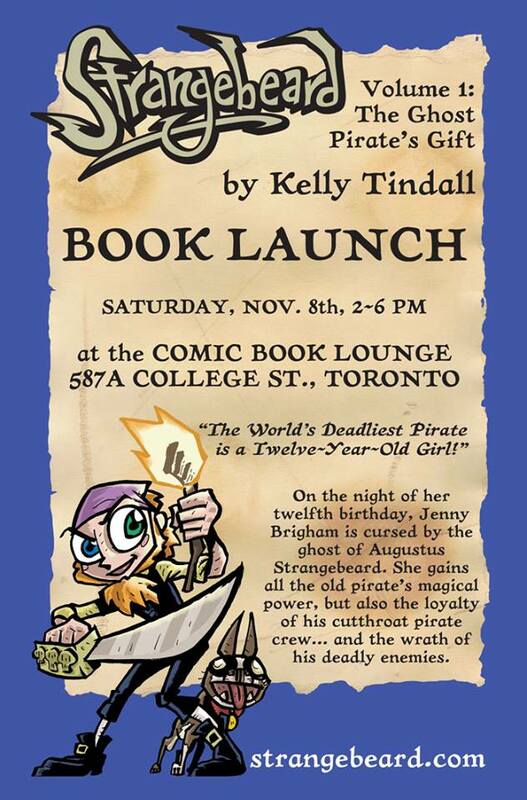 The Comic Book Lounge & Gallery is proud to welcome cartoonist KELLY TINDALL to the store on Saturday afternoon, November 8 to celebrate the launch of his crowdfunded graphic novel STRANGEBEARD VOL. 1: THE GHOST PIRATE’S GIFT! Previous PostComic Book Marathon – Special Edition: Saturday November 1, 2014Next PostChanges coming in 2015.